The online home of North Tipperary Wheelers Cycling Club. Based in Nenagh, Ireland since 1987. Many congratulations to Ger and John Spillane on the birth of their first grandchild. ready to head off on their various chosen routes. It certainly was a fine morning for cycling. to Nenagh via Coolbaun and Puckaun, completing a 85km route. and back home to Nenagh, completing a 100 km route. under their bike to protect the floor. participants. Good luck and enjoy the sessions! Saturday:Training spin leaving from Woodies car park, Nenagh at 9am. 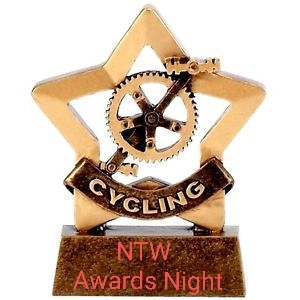 Club Awards Night and Dinner Dance later that evening. Sunday: Recovery club spin (!) leaving from outside Moynan’s at 9am.